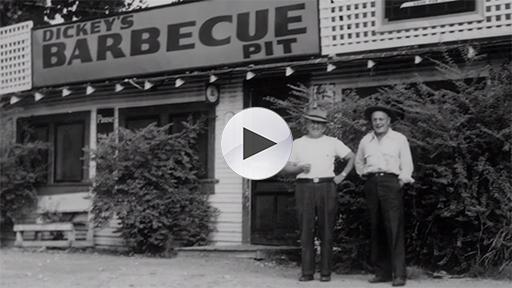 For 75 years, Dickey’s Barbecue Pit has prided itself on serving authentic, slow - smoked Texas barbecue with a side of southern hospitality. 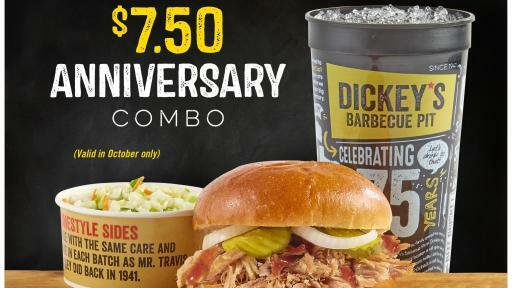 Dickey’s is celebrating the milestone by offering a Limited Edition Anniversary Cup and smokin’ specials during the month of October. 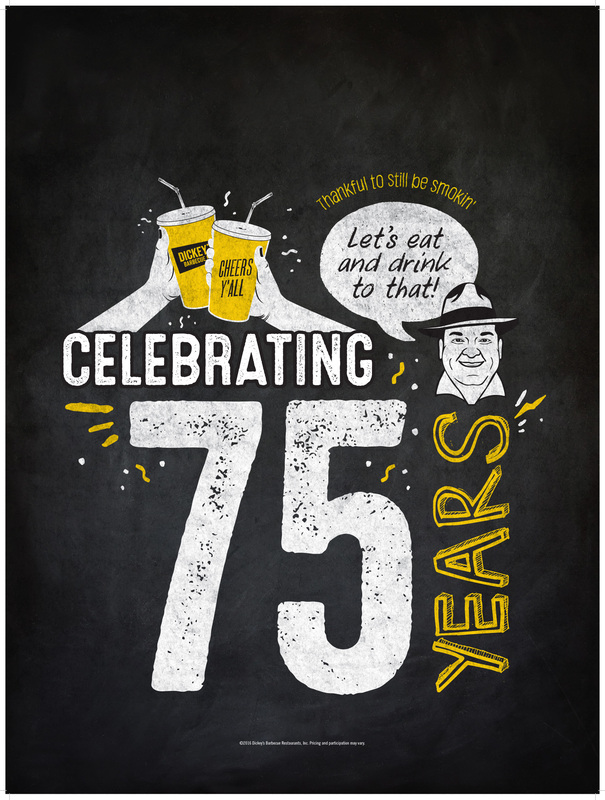 The 75th anniversary special will include a pulled pork sandwich with a side of coleslaw and a Limited Edition Cup for only $7.50. 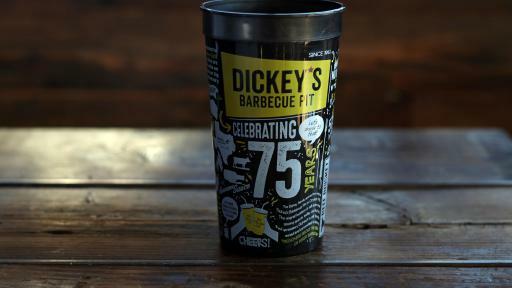 The new 32-ounce cups feature chalkboard-style artwork illustrating the story of the 75-year-old brand from a barbecue stand in Dallas to its current position as the largest barbecue chain in the nation. In fact, the original store still stands in its original location in Dallas along North Central Expressway, which was the North Central Railroad when Dickey’s first opened. 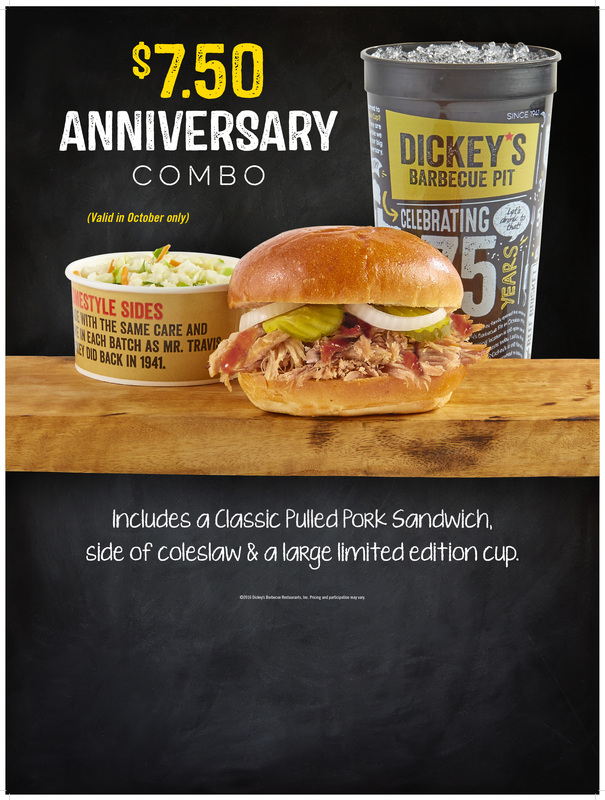 Dickey’s Barbecue Pit will also offer social media giveaways to two lucky guests every week for the month of October, including free barbecue for a year and a Pit Master Birthday Pack. 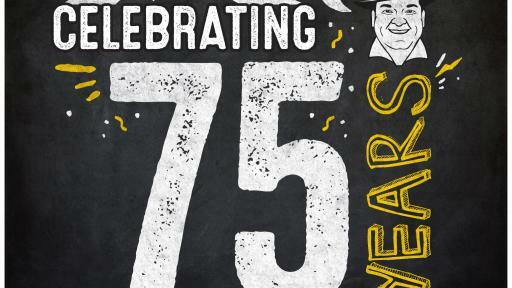 Prize winners will be announced via Facebook, Instagram, and Twitter. 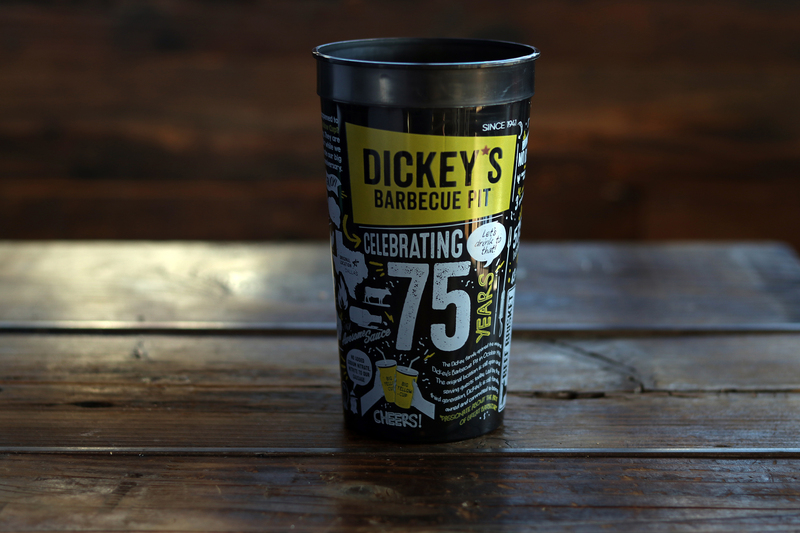 To join Dickey’s Big Yellow Cup Club, click here.